As building envelopes have gotten tighter, radon has become deadlier. Underslab barriers, radon mitigation, and testing systems are healthy—and profitable—services basement contractors can add to their businesses. Radon is a cancer-causing radio-active gas. Invisible, odorless, and undetectable to the unaided human, it can cause serious health problems. In fact, the U.S. Center for Disease Control estimates that radon is the leading cause of lung cancer among non-smokers, and the second leading cause of lung cancer overall in the United States today, causing more than 21,000 deaths annually. Present in most areas of the country, radon barriers—a variation on the underslab moisture barrier—are the first line of defense. 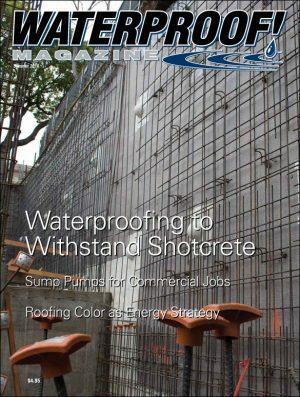 Not only do they improve the health and general livability of the structure, but they also can provide additional income to a waterproofer’s bottom line. “As building envelopes have gotten tighter, we’ve learned to protect the indoor environment from too much moisture. 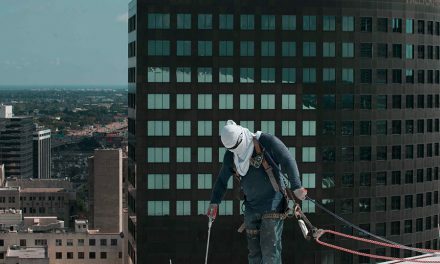 We should have the same concerns about other vapors coming into structures from the soils, passing through the slab through cracks in the concrete,” says Bryan Coulter, vice president at PolyGuard. Radon is a naturally occurring element, and is quite common. It’s a byproduct produced from decomposing uranium ore and other minerals deep underground. Being lighter than the surrounding soils, the gas seeps upward through small spaces in the soil and rock to the surface. Radon gas is, however, the heaviest gas known to exist—nine times heavier than air—so when there’s no wind to help the gas dissipate, it builds up indoors in basements and other low-lying areas. According to Michael White at HomePro Inspections.com, most radon enters a home through dirt floors, cracks in concrete, sumps, joints, basement drains, etc. “Concrete-block walls are particularly porous to radon,” he says. Historically, buildings have been drafty enough that indoor radon levels never presented any health risks. However, as building codes have mandated tighter, more energy efficient construction, radon has become a serious issue. “Radon-related health problems have increased dramatically in recent decades,” stated U.S. Surgeon General Richard H. Carmona in 2005. “In just the past 25 years… evaluations related to air quality concerns have increased from one of every 200 evaluations to one of every two.” But it’s not because radon is becoming more common; it’s because it’s more easily trapped inside our living spaces. 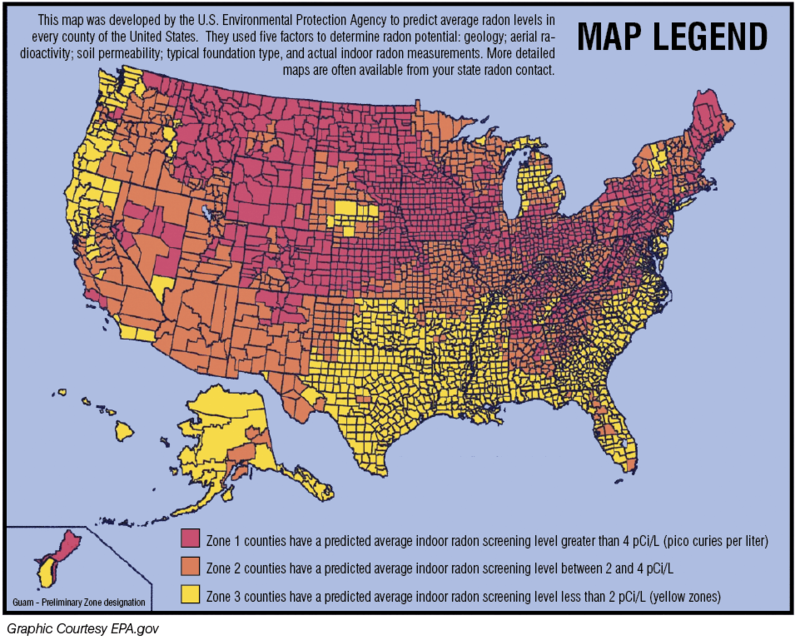 The issue is serious enough that every state in the U.S. has a radon information office. These experts are the best source for finding out whether elevated radon levels are common in your area. Although this damage does not make people feel poorly on a day-to-day basis, the effect of radon exposure is long term. Smokers and children are particularly susceptible. For waterproofers that are already in the business of improving the livability of below-grade living space, it may be smart to add radon mitigation to the list of services the company provides. One-time radon test kits are available, but many homeowners prefer the accuracy of professional testing. Long term monitors that offer constant surveillance are also popular. Testing: Radon testing is a good first step for the concerned homeowner. It’s also a good first step for contractors trying to get into the business. Most individuals will be happy with a one-time test to verify that radon levels in their home are not an issue. Do-it-yourself testing kits for homeowners are available for around $50. More than a quarter million are sold annually, nearly all use activated charcoal to trap radon, which is sent to a lab for analysis. Trained professionals use equipment that is far more accurate. For much of the 1990s, the EPA ran a “National Radon Proficiency Program” that trained, tested, and certified radon detection equipment and the contractors who installed them. That program was discontinued in 1998, when they handed these duties over to a pair of private organizations, the National Environmental Health Association (NEHA) and the National Radon Safety Board (NRSB). Both are highly regarded, and have information on their websites on how to become certified. Basement remodels, which waterproofers are often involved with, should include radon testing before work begins. 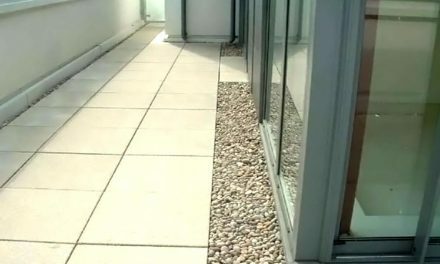 If test results indicate a problem, radon-resistant techniques can be inexpensively included as part of the renovation. Because major renovations can change the level of radon in any home, test again after work is completed. Monitoring: If the one-time test result is above the four pCi/L threshold, the EPA recommends a long-term monitoring system to gain a better understanding of the year-round average radon level. 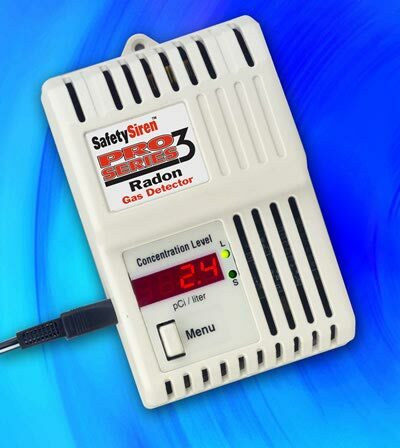 In high risk areas, homeowners may want a radon-monitoring system installed from the beginning, similar to smoke detectors or carbon monoxide detection system. These are available from a number of manufacturers and are usually hard-wired into the home. Mitigation: If test results indicate more than twice the EPA’s 4 pCi/L action level, a mitigation system should be installed. In certain high-risk areas, radon mitigation systems are required by law for all new construction. Five states require radon venting systems for all new construction; an additional 22 require it is some jurisdictions. The National Association of Home Builders (NAHB) reports that about one home in every six is being built with a radon mitigation system. In high-risk areas, the percentage increases to one in three. 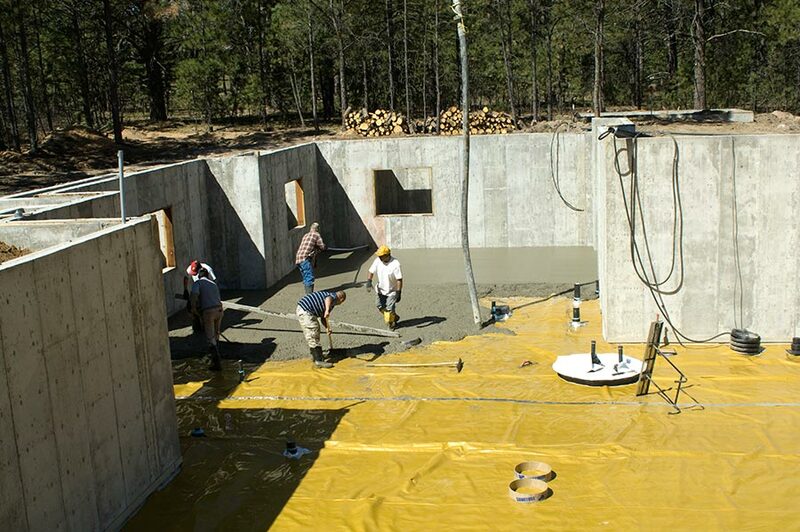 The most common technique is a “passive sub-slab depressurization system,” consisting of a vent pipe extending from below the floor slab to the attic. If the pipe is routed through warm space (such as an attic or furnace flue), the temperature difference will cause the radon to rise through the pipe and vent harmlessly into the atmosphere. A simple vent pipe, properly installed, reduces radon levels by about 50%. Sealing foundation cracks and other openings makes this kind of system more effective. ASTM has established minimum guidelines for radon mitigation systems under E 1465-06 Standard Practice for Radon Control Options for the Design and Construction of New Low-Rise Residential Buildings. 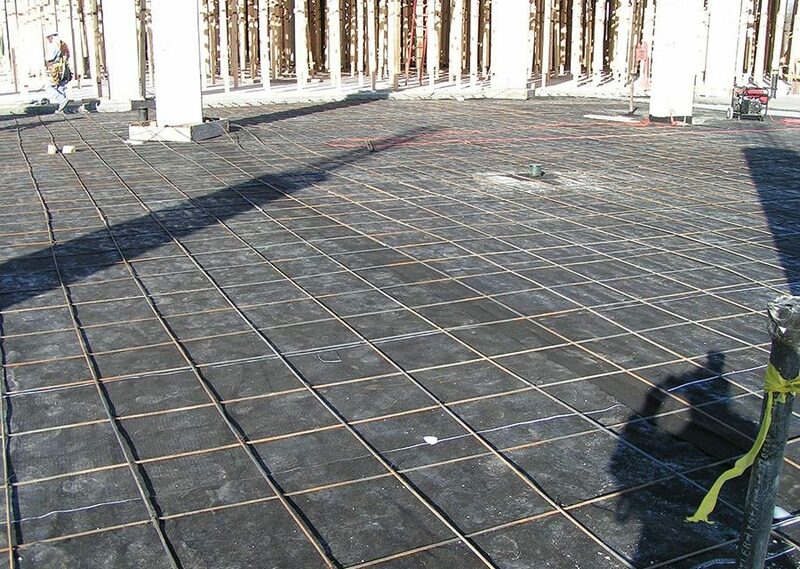 The technique is almost identical to underslab moisture control. Begin with a layer of clean, washed gravel. RRNC standards call for ½” or ¾” aggregate a minimum of four inches deep. In areas where gravel is cost prohibitive, perforated pipe can be substituted. This is topped with an underslab vapor barrier. The minimum acceptable thickness is 6-mils, but for crawlspaces and other exposed areas, 8- or 10-mil would be a better choice. Cross-laminated polyethylene is even more durable. Seams between adjoining sheets are usually overlapped a minimum of 12 inches and sealed with a continuous bead of sealant. 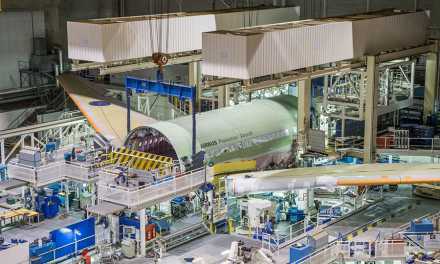 A few products have a ribbon of adhesive pre-applied. Others are dimpled and interlock. The joint between the underslab barrier and the footer must be sealed as well. If passive ventilation isn’t enough, in-line fans like the one can be easily added to the vent pipe to lower radon levels even further. He recommends ASTM E 1745-09 “Standard Specification for Plastic Water Vapor Retarders Used in Contact with Soil or Granular Fill under Concrete Slabs” as a starting point. This standard requires tensile strength of no less than 45.0 lb/in. and a puncture resistance of 2200 grams. To meet these requirements, most barriers are at least 10 mils thick and made with state-of-the-art resins to provide exceptional puncture strength. Coulter, at Polyguard, points out that seams, penetrations, and edges are common failure points and need particular attention. “On our sheet, we have an extended edge to ensure that the barrier remains in place.” He recommends using an asphalt-based adhesive to seal the edge of the sheet to the footer. “That’s the proven method,” he says. Once the sheet is sealed, vent pipes are installed to direct the captured radon out of the building envelope. Conventional 4” diameter ABS or PVC vent pipe is standard. CertainTeed’s Form-A-Drain, used as a combination stay-in-place footing form and drain tile, can be easily adapted for radon mitigation using factory-standard parts. It forms a complete sub-slab perimeter loop around the inside of the foundation — a key element of a radon reduction system. Depending on the lot configuration and moisture management system, the vent pipe can be sloped to daylight, directed to the sump, or vented directly through the roof. If radon is directed to the sump, a second vent pipe would be needed to direct the gas through the roof and out of the building. This option also requires a sealed sump cover. Finally, all penetrations must be carefully sealed, both in the lower portion of the home to reduce radon, and in the attic to ensure the vent draws well. After the system is installed, the home should be tested again to make sure it is functioning properly. 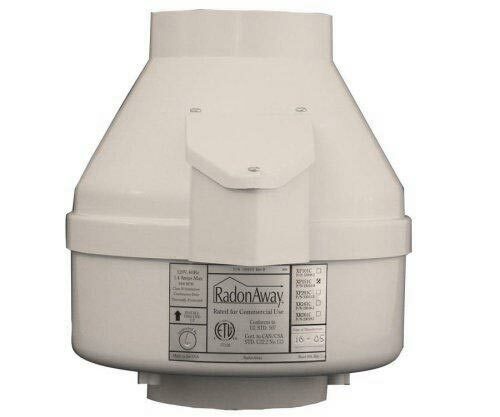 If radon levels are still above the recommended thresholds, a fan can be installed in the attic vent pipe, creating an “active ventilation system.” An alarm on a separate circuit—similar to sump pump installations—is sometimes installed to alert the homeowner if the fan malfunctions. Many builders are installing an electrical outlet in the attic with passive systems to make this an easy retrofit option. Research from the EPA indicates that radon reduction systems are extremely effective; some can reduce radon by up to 99%. In one extreme case—discovered when the homeowner set off radiation alarms at his workplace—levels were reduced from 2,700 pCu/L to 4 pCu/L. The primary advantage of a radon reduction system is that the homeowner will have lower in-home radon levels. But a secondary advantage is that the homeowner will enjoy a much lower level of humidity, especially if an underslab vapor barrier was installed. The amount of radon present in a home is highly variable, and depends on a number of factors, including soil type, geology, foundation type, HVAC system, construction “tightness,” and others. Similarly, the cost of reducing radon in your home depends on how your home was built and the extent of the problem. 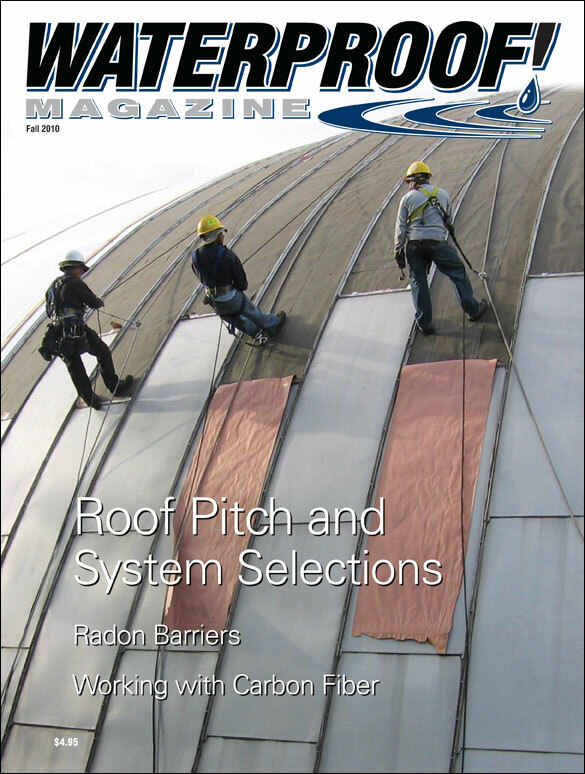 For more information, visit the online version of this story, which includes links to state radon coordinators, national certification boards, architectural details of mitigation systems, and an 84-page step-by-step guide for building radon-resistant homes. In summary, radon-resistant construction techniques are effective in preventing radon entry when installed properly and completely. Installing them at the time of construction is easier and less expensive. Raven Industries and Polyguard, manufacture underslab gas barriers with extremely low gas permeability. These barriers can be a profitable and valuable service that basement repair and waterproofing contractors can easily add to their business. Gravel: A 4-inch layer of clean, coarse gravel below the slab. This layer allows soil gases—including radon—to move freely underneath the house, where they will be extracted through the vent pipe. 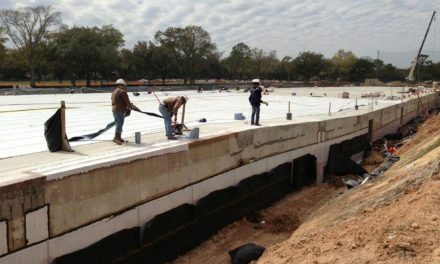 Vapor Barrier: A heavy-duty vapor retarder is placed on top of the gravel to prevent concrete from clogging the gravel layer when the slab is poured. The barrier should be tough enough to remain puncture free after the pour to prevent the soil gases from entering the house. 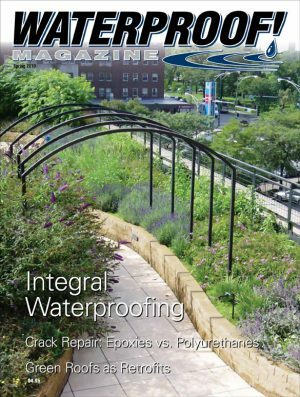 Sealing and Caulking: In remediation work when an underslab barrier may not be possible, seal all the cracks, and crevices in the foundation walls and floor with gas-impervious caulk. Even in new construction, this step is sometimes necessary. Vent Pipe: A 3” or 4” PVC pipe, like the ones commonly used for plumbing vents, runs vertically from the gravel layer (stubbed up when the slab is poured) through the roof to safely vent radon outside above the house. This pipe—and the stub—should be labeled “Radon System” to prevent confusion with the wastewater plumbing. Run thepipe through conditioned space to maximize the chimney effect. Junction Box: Install an electrical outlet in the attic for use with a vent fan in case a more robust system is needed. In some areas of the country, radon barriers—a variation on the underslab moisture barrier—are a great way to improve the livability of the building and add additional income to the company’s bottom line. Stronger and less bulky than steel, carbon fiber is making basement structural repair easier than ever before. Whether its carbon straps, staples, or sheets, we explain what the options are, and how to make sure they’ll perform. Flat roofs obviously require different treatment than steep ones. 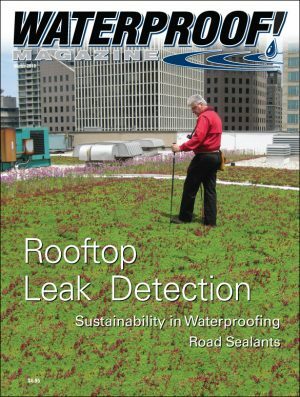 We’ll look at the role roof pitch plays in determining how a rooftop waterproofing membrane will perform.